So it looks like this will be my first and last post of 2017! What a year this one has been! It's been a hard one to get through but also at the same time seemed to go by SO quickly. There have been a lot of ups and downs this year but I'm planning on just owning everything that has happened and to start fresh in 2018. A lot of things happened this year... Pete and I celebrated 1 year of marriage, I graduated from school (FINALLY!!!) after 3 years, I made some really great new friends, I turned 30 and felt incredible and Jenn turned 30 too (yesterday!!). It was really fun celebrating all of that. I also got to travel to Quebec with my hubby and truly experience the beauty of Montreal and Quebec City as an adult for the first time (last time I was there was on a school trip when I was 14). It was incredible and I can't wait to go back again! The biggest challenge that I faced this part year was school. The workload in my final class was just incredibly overwhelming and took up almost all of my spare time outside of work. I do have to say that it felt really good to get that final exam done and to ace it! It's been nice not having to read any textbooks or do assignments for the past 4 months. One thing that I am proud of accomplishing this year is that I have pushed myself harder to really let things and negativity go, to just let it exit my life. Sometimes it feels good to just sit back and say "I have tried, this isn't working and now I feel okay moving on". I realized that sometimes having no expectations in how things will go, or how events will play out or even not having expectations from others allows you to be able to spare yourself disappointment and negativity. This is something that was really eating at me and I needed to fix. I still have work to do here but I'm getting there and thankfully I have found a way to find a bit of peace within myself. I am also proud to say that a few days ago I joined Weight Watchers. I've done this before with success but really needed to get back on this as I really need to improve my health. I want to be more active again and also get back in the groove of making myself healthier meals and also just being healthier in general. I will definitely be keeping you posted on this progress in the new year! Lets all make 2018 a positive one! Let us start by saying, we are so excited to have the privilege of reviewing the Sigma firm blender brush! The E44 brush feels so soft and thick enough that the fibers allow full control of blending. No one enjoys trying to blend eye shadows with floppy fibers, don't even get me started on the fall out mess that could cause! The Sigma E44 exceeds all expectations, and allows great control and blending power, and it feels so smooth and soft. 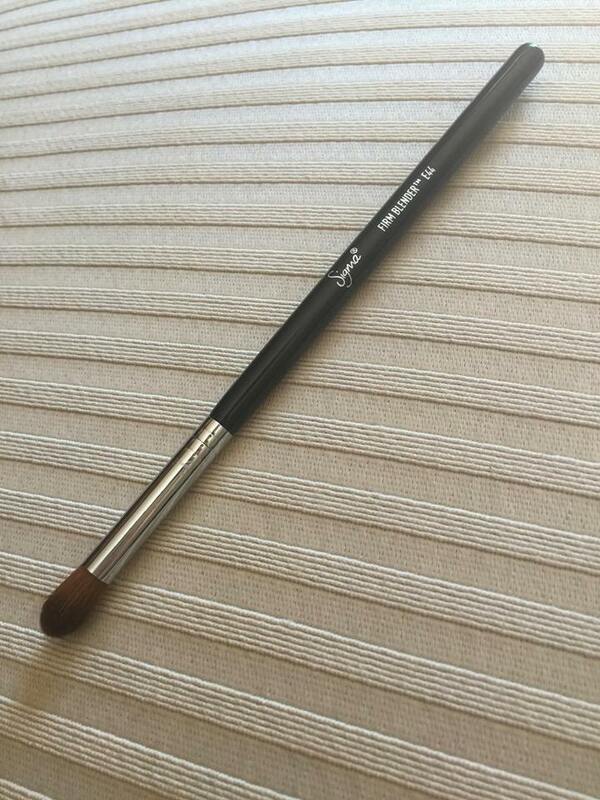 The added bonus to using Sigma brushes is that they are cruelty free, which is very important to us. I just wanted to check in and give you a progress update! This past week was not my best but I smartened up towards the end of it. I struggled with night time snacking and making good choices. I guess it's easier to cook healthy when you're feeding others instead of making a meal for 1 (Pete was in California last week). Thankfully I didn't see a huge shift on the scale in the wrong direction. Today I picked myself up, started tracking my entire day, decided to preplan for the week, put it in my tracker.. and start prepping! I've spent the last three hours in the kitchen and I've feeling determined :). Healthy snacks are readily available, meals are made and I'm looking forward to all the tasty goodness! This is looking to be a busy week one but I'm going to try to do at least one Zumba class, hit up the gym once and also do an at home workout. Now I'm gonna go get my scheduling on! :) Have a great week! Is it worth it? 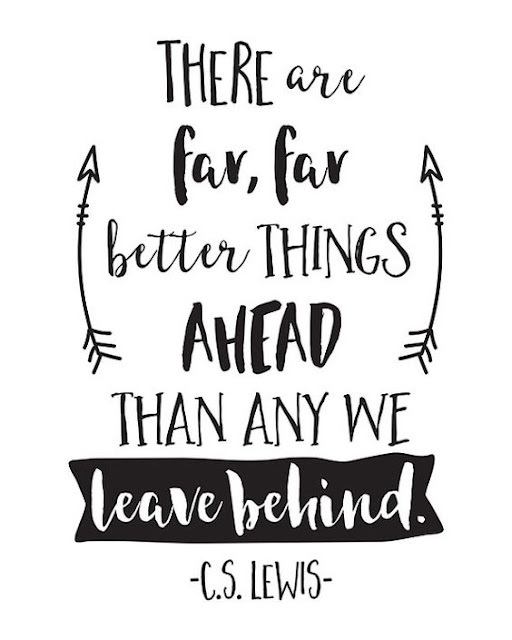 Stop and look at the bigger picture! I had a really bad habit of letting my thoughts completely control me. I've let a bad 5 minutes or bad hour completely destroy an otherwise decent day for myself. It's so easy to get caught up in negative thoughts. It's not fun letting your thoughts completely consume your being.. especially negative ones. So many times I've had to ask myself "Is this really worth being upset over?" or "am I over reacting?" and a lot of the time I am over reacting and it's not worth being upset over. Think of the big picture! On Friday at 5:45 I walked into the apple store with my laptop thinking I'd walk out likely with an easy (and free) fix as I thought I had a loose cable connection. This was not the case. Turns out is was a display issue and it would cost $607 just for the part to replace it. Of course I was upset and disappointed but I switched my mindset and said "This is not worth being upset over". Technically my computer is still usable, just annoying. Normally I would have let this destroy me.. like all things money related usually do. I would have cried and pouted and thought "What am I going to do now?!" and "What about school!? I take online courses I'm screwed!!" But instead I thought "I have a loving family, a car, a warm place to call home .. this is not going to ruin my day or weekend!" The power of thought is a wonderful thing if you use it to your advantage. Since January 1st not only have I decided to do a complete 180 with regards to my eating choices (cleaner, healthier, organic foods) but I've tried to not let things get to me. I've not let dramatic people distract me the way they used to, I don't sweat the small things, I don't get upset with myself when things don't go as planned... I think before reacting and I live and I accept things for how they are and move on. Having days where your thoughts are consumed by all things negative is not healthy. I've been there.. I never want to be there again. I will continue to do everything in my power to not be the person to allow my thoughts to destroy myself. Do the best thing for yourself when you're saying "I'm having a really bad day!" and look at the bigger picture.. Is this worth being upset over? Is something small worth destroying an otherwise good day? Is this tiny thing worth consuming my thoughts for the entire day/week? If no, put it to rest and squash it! Don't let yourself spiral out of control. Anyways, I'm off! Hope your Sunday is treating you incredibly well! I'm off to repot some plants and then do some meal prep! It's been a few days and I wanted to check in and let you know how things are going. Even though I have a cold right now I am feeling better than ever when it comes to making smart choices and putting thought into what I actually want (and should be snacking on), resisting the urge to snack at night and actively incorporating organic and clean foods into my diet. I've looked into how I want to do this quite a bit, have chatted with a few friends who are living the cleaner/organic lifestyle and I have to say after 7 days in I'm feeling quite comfortable. At night if I'm hungry and need something I've grabbed fruit every single time. I've sliced up veggies and eaten them with a meal when I would have eaten none before. I'm confident that I can do this! Tomorrow is my "official" weigh in day (even though I tend to jump on every morning) and I know it will be a really good one. I did my measurements again this morning and I'm already seeing results! My jeans that have been tight since the beginning of fall? Feeling a bit looser and less uncomfortable and awkward. I know the first week is always your best but I'm not discounting anything and I'm keeping the positivity meter cranked up to 100%. Initially when I decided I wanted to eat cleaner foods I was wanting to go 100% clean. I know for me (from past experience) this would not have worked. I might have made it a few days and then been like "AHHH I NEED SALTY BUTTER PRONTO!!". I didn't want to set myself up for that again, I know myself too well. Instead I've decided to still go hard but not 100% on clean/organic eating. By the summer I want to have at least 75% of my produce to be organic and I want to educate myself more on the healthiest and cleanest meats and where to get them. Anyways I'm going to post back soon and I hope you make tomorrow a FANTASTIC day! It's almost Frriiiidayyy ... fun fun fun fun!!! (I'm looking at you Sam hahaha). I hope you all had a wonderful Christmas and New Years! I was lucky enough to surround myself with loving family and spend lots of quality time with Pete. 2015 was a rollercoaster year to say the least. It had many ups and downs.. but in the end I got through it. Some of the exciting events? I got engaged, have gotten pretty far in planning and have been happier in my relationship than I have ever been! 2016 will bring house hunting, more wedding planning, dress shopping and the actual wedding! Possibly puppy #2 later in the year! Hardest event? I lost the greatest man I've ever known. The one man who has always made sure I knew how loved I was and never faltered in sharing his love. It was the biggest blow I've ever experiences and I feel that loss deeply every single day. My Ota will be very, very missed by many. So for the new year I'm here with some blog related goals! I promise to make a better effort to post more and to keep you all in the loop with the exciting things going on in my life. I'll also be making more power food posts and delicious recipe shares! I'll be sticking to a cleaner eating regimen in the new year and I already feel better after just a few days :) Can't wait to keep it up and see the results! Spinach is the food we will be focusing on today. This power food is not just for Popeye!! This leafy green is pleasing to the eye and also packed full of nutrients. Spinach can possibly help with inflammatory issues, cardiovascular problems, and bone issues. Did you know the following facts about spinach? It is a great source for potassium! 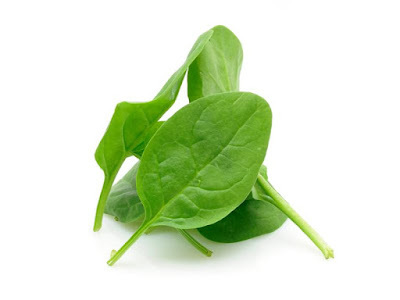 A half cup of cooked spinach has 419.5 mg compared to the popular source banana being only 269 mg per half cup. This means it is ideal for those with high blood pressure. Baby and regular spinach pack the same amount of nutrients. Spinach can be added to pasta for an added kick and tastes amazing! You can also lay this under your noodles, on top and then under the sauce.. so many ways. Dark greens (like spinach and others) are great for your skin, hair and bones. High in fiber! It will help you stay regular. Who doesn't love that? Great source of protein and iron. Excellent source of Beta-Carotene which our body converts into Vitamin A. Preparation of this leafy green is very versatile. It can be eaten raw or cooked! You can also trick children easily into eating this healthy green by blending it into a smoothie, or chopping it up small and baking with it either in a meatloaf, dessert, or in a dip just to name a few.